Pakistan Army has announced the test dates to join through Short Services Commission. 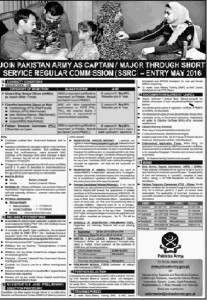 This is the opportunity to join Pakistan Army as Captain/ Major Doctor through short services commission. Registrations will be starting from 25th December 2015 and will last till 29th January 2016. Test for short service commission would be based on MCQs type test. You can start your test preparation today using Pakprep.com. Register Here for free!!!!. Here are further details on how to apply. Start your Short Service Commission test preparation using Pakprep.com. For further details please see the advertisement. This entry was posted in ISSB and tagged Army Academic Test, Intelligence Test, ISSB, ISSB format, ISSB Intelligence Test, ISSB MCQs, ISSB Solved MCQs, ISSB Test, Join Pakistan Army, Join Pakistan Army as Medical Cadet, Pakistan Army, Pakistan Army Chemistry MCQs, Pakistan Army English MCQs, Pakistan Army Medical, Pakistan Army Physics MCQS, Regular Commission Pakistan Army on December 29, 2015 by Pakprep.com Admin. Admission in National University of Science and Technology (NUST) Admission is based on NUST Entry Test (NET) that has MCQs of Chemistry, English, Physics, Maths and Biology. NUST is a one of the highly ranked engineering university in Pakistan. NUST Admission is very competitive as each year thousands of students apply for admission to NUST. Please note that NUST does not give official preference to any topic of Chemistry in Entry Test. Chemistry MCQs can come from any topic from the FSc or A levels syllabus. NUST Entry Test (NET) is very competitive we recommend you to prepare all Fsc topics of Chemistry from Pakprep.com syllabus. However, if you are short of time these topics tend to appear more than others. This entry was posted in Entry Test Preparation, NUST, Pakprep and tagged best way to prepare for entry tests, Best way to prepare for NUST, Download NUST NET Past Paper, Download NUST Past Papers, entry, Entry Test, entry test preparation, Entry Test Preparation 2016, How much marks I need in NUST NET?, How to Calculate NUST Aggregate, How to Prepare for NUST NET 2016, How to prepare NUST NET, Important Maths Topics for NUST NET, Important Physics Topics NUST NET, Marks Required in NUST NET?, NUST, nust 2015, nust admission, Nust Admission Test, Nust Admission Test 2015, Nust Admission Test 2015 engineering, Nust Admission Test 2015 NUST NET 2015 Preparation, Nust Admission Test 2016 engineering, NUST Aggregate, NUST aggregate 2014, NUST Biology MCQs, Nust Chemistry MCQs, NUST Eligibility Criteria, nust engineering, NUST Engineering Past Paper, NUST English MCQs, Nust Entrance Test, Nust Entrance Test 2016, nust entry test, NUST Entry Test 2016, nust entry test preparation, NUST FEE Structure, NUST Maths MCQs, nust mcqs, nust medical, NUST Medical Admission Test, NUST Medical Past Paper, online entry test mcqs, Online Entry Test Preparation, Solved NUST MCQs, Solved NUST Past Paper on December 26, 2015 by Pakprep.com Admin. Educational Testing and Evolution Agency (ETEA) conducts the entry test for admission in different engineering universities and Medical colleges of KPK. ETEA MCAT and ETEA ECAT contain 200 marks. ETEA entry consists of multiple type objective questions. There are three types of ETEA test for medical and Engineering. ETEA KPK announces registration date usually in month of June and they conduct their test in August. Pakprep.com provides the complete coursework for the ETEA KPK. Join www.pakprep.com now to prepare for ETEA KPK. Here is the detail of each type. This entry was posted in Entry Test Preparation, KPK ETEA Engineering, KPK ETEA Medical and tagged Ayub Medical College ETEA, Best way to prepare for ETEA, entry, Entry Test, Entry Test 2015, entry test preparation, Entry Test Preparation 2016, ETEA, ETEA 2015, ETEA Biology MCQs, ETEA Chemistry MCQs, ETEA ECAT, ETEA Engineering, ETEA Entry Test, etea mcat, ETEA MCQs, ETEA Medical, ETEA Medical 2016, ETEA Medical Test, ETEA Online Preparation, ETEA Past Papers, ETEA Peshawar, ETEA Physics MCQs, ETEA Preparation, ETEA Preparation Online 2015, ETEA Preparation Online 2016, ETEA result, ETEA Solved MCQs, ETEA Solved Past Papers, ETEA test, ETEA test result, How to Prepare for ETEA, How to Prepare for KPK ETEA Medical, KPK ETEA, KPK ETEA 2015, KPK ETEA 2016, KPK ETEA Biology MCQs, KPK ETEA Chemistry MCQs, KPK ETEA Engineering, KPK ETEA Entrance Test, KPK ETEA Maths MCQs, KPK ETEA MCQs, KPK ETEA Medical, KPK ETEA Online Preparation, KPK ETEA Past Papers, KPK ETEA Physics MCQs, KPK ETEA Sample Test, KPK ETEA Scholarships, KPK ETEA SOLVED MCQS, KPK ETEA test pattern, Pakistan Entrance Test, pakistan entry tests mcqs, Pakprep ETEA, Prepare KPK ETEA Online, UET Peshawar ETEA on December 24, 2015 by Pakprep.com Admin. English section of UHS MCAT test consists of 30 MCQ’s. These mcq’s are divided in to four major parts. Pakprep.com provides the complete coursework for the UHS MCAT preparation. Join www.pakprep.com now to prepare for UHS MCAT. Here is the details of each part. This entry was posted in Entry Test Preparation, Punjab UHS MCAT, UHS MCAT and tagged Best way to prepare for UHS MCAT, Dental Entry Test UHS, English Comprehension MCQs, english mcqs, How to Prepare for UHS MCAT?, How to prepare Punjab Mcat UHS, How to prepare PUNJAB UHS Mcat, Important Chemistry Topics UHS MCAT, Preparation of Document for UHS MCAT, Punjab Medical Admission UHS, Punjab UHS MCAT, Punjab UHS MCAT Syllabus, Punjab UHS Medical Test, Sample UHS MCAT MCQs, UHS, UHS Admission, UHS Admissions, UHS Biology MCQs, UHS Chemistry MCQs, UHS English MCQs, UHS Entry Test, UHS MCAT English MCQs on December 23, 2015 by Pakprep.com Admin. National Testing Service (NTS) is and independent testing organization in Pakistan. Some engineering universities and medical colleges in Pakistan gave admission based on the aptitude test managed by the NTS. This test is called National Aptitude Test (NAT). Whereas most of the top ranked engineering universities and medical colleges of Pakistan took their own entry tests. For example in Engineering NUST, GIKI, FAST, UET, NED have their own entry tests. Similarly for public sector medical colleges the admission is given on the basis of Punjab MCAT, Sindh MCAT and KPK ETEA. National Aptitude Test (NAT) emphasis more on the general analytical and quantitative sections, while the main focus of tests for leading engineering universities and medical colleges like NUST, GIKI, UET, FAST, Punjab MCAT, Sindh MCAT, KPK ETEA is on the subject tests which includes Physics, Chemistry and Biology and Mathematics. Pakprep.com provides the complete coursework for the English and subject tests section of National Aptitude Test (NAT). Here is the test pattern of NAT for medical colleges and engineering universities. This entry was posted in Entry Test Preparation, NTS, NTS NAT and tagged best way to prepare for entry tests, Best way to prepare for Entry Tests in Pakistan, Best way to prepare for NTS, entry, Entry Test, Entry Test 2015, entry test preparation, Entry Test Preparation 2016, MCQs time management, NAT English MCQs, NAT IE Past Papers, NAT IE Preparation, NAT IM Past Papers, NAT IM Preparation, NAT Pakistan, NAT Past Papers, NAT Solved MCQs, NAT Subject MCQs, NTS, NTS IE, NTS IM, NTS MCQs solved, NTS NAT Preparation, NTS Pakistan, NTS Past Papers, NTS Preparation Online, online, online entry test mcqs, Online Entry Test Preparation, test on December 22, 2015 by Pakprep.com Admin. How Much Marks You Should Score in NUST NET to Get Selected in NUST? National University of Science and technology (NUST) conduct its own test called NUST Entry Test (NET). This test is very competitive and large number of students appears in NET each year. Students have keen interest in getting admission at NUST and most important question they usually asked that how much NET score they get to have admission in NUST. Here we will focus on how much score you need to get admission in NUST NET in order to get selected in the faculty of your own choice. Pakprep.com provides the complete coursework for the NUST NET. Join www.pakprep.com now to get admission into NUST. This entry was posted in Entry Test Preparation, NUST and tagged best way to prepare for entry tests, Best way to prepare for Entry Tests in Pakistan, Best way to prepare for NUST, Download NUST NET Past Paper, Download NUST Past Papers, entry, Entry Test, entry test preparation, Entry Test Preparation 2016, How much marks I need in NUST NET?, How to Prepare for NUST NET 2016, How to prepare NUST NET, Important Maths Topics for NUST NET, Important Physics Topics NUST NET, Marks Required in NUST NET?, NUST, nust admission, Nust Admission Test, Nust Admission Test 2016 engineering, NUST Aggregate, NUST Biology MCQs, Nust Chemistry MCQs, NUST Eligibility Criteria, nust engineering, NUST Engineering Past Paper, NUST English MCQs, Nust Entrance Test, nust entry test, NUST Entry Test 2016, nust entry test preparation, NUST FEE Structure, NUST Maths MCQs, nust mcqs, NUST Mock Tests, nust net, NUST NET 1, NUST NET 2, NUST NET 2015 Physics MCQs, NUST NET 2016, NUST NET 2016 Format, NUST NET 3, NUST NET 3 Preparation Online, NUST NET 3 Solution, NUST NET Biology MCQs, NUST NET Chemistry MCQs, NUST NET Entry Test Preparation, NUST NET Maths MCQs, NUST NET Online Test Preparation, NUST NET Paper Pattern, NUST NET Past Papers, nust net preparation, NUST NET preparation 2016, Nust past paper, NUST Past Papers, NUST Past Papers Engineering, nust physics, Nust Physics MCQs, Nust practice test, NUST Solved MCQs, Nust test, online entry test mcqs, Online Entry Test Preparation, pakistan entry tests mcqs, Solved NUST MCQs, Solved NUST Past Paper on December 21, 2015 by Pakprep.com Admin. 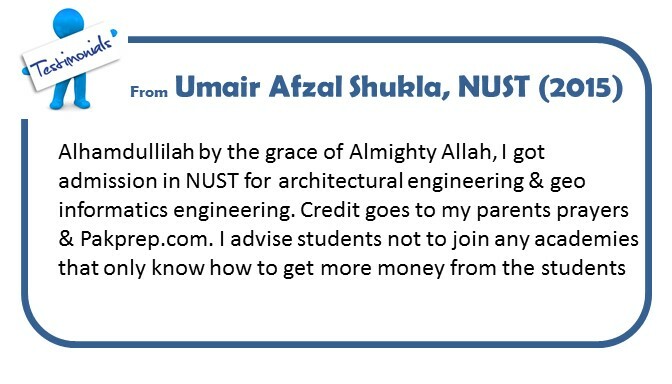 This entry was posted in Entry Test Preparation, NUST, Pakprep and tagged Best way to prepare for NUST, Download NUST NET Past Paper, Download NUST Past Papers, How much marks I need in NUST NET?, How to Calculate NUST Aggregate, How to Prepare for NUST NET 2016, How to prepare NUST NET, Important Maths Topics for NUST NET, Marks Required in NUST NET?, NUST, nust 2015, nust admission, Nust Admission Test, Nust Admission Test 2015, Nust Admission Test 2015 engineering, Nust Admission Test 2015 NUST NET 2015 Preparation, Nust Admission Test 2016 engineering, NUST Aggregate, NUST aggregate 2014, NUST Biology MCQs, Nust Chemistry MCQs, nust engineering, NUST Engineering Past Paper, NUST English MCQs, Nust Entrance Test, Nust Entrance Test 2015, Nust Entrance Test 2016, nust entry test, NUST Entry Test 2016, nust entry test preparation, NUST Integration MCQs, NUST Maths MCQs, nust mcqs, nust medical, NUST Medical Admission Test, NUST Medical Past Paper, nust merit list, NUST Mock Tests, nust net, NUST NET 1, NUST NET 2, NUST NET 2015, NUST NET 2016, NUST NET 2016 Format, NUST NET 3 Preparation Online, NUST NET 3 Solution, NUST NET Chemistry MCQs, NUST NET Online Preparation, NUST NET Online Test Preparation, NUST NET Paper Pattern, NUST NET Past Papers, Nust past paper, NUST Past Papers, NUST Past Papers Engineering, NUST Past Papers Medical, nust physics, Nust Physics MCQs, Nust Practice MCQs, Nust practice test, NUST Solved MCQs, Nust test, online, online entry test mcqs, Online Entry Test Preparation, Solved NUST MCQs, Solved NUST Past Paper on December 13, 2015 by Pakprep.com Admin.